Local architect Bernard Maybeck's pièce de résistance, this Greco-Roman rotunda is one of the only surviving structures from the 1915 Panama-Pacific Exposition. It's supported by a curved colonnade topped with friezes and statues of weeping women, and flanked by a pond alive with ducks, swans and lily pads. 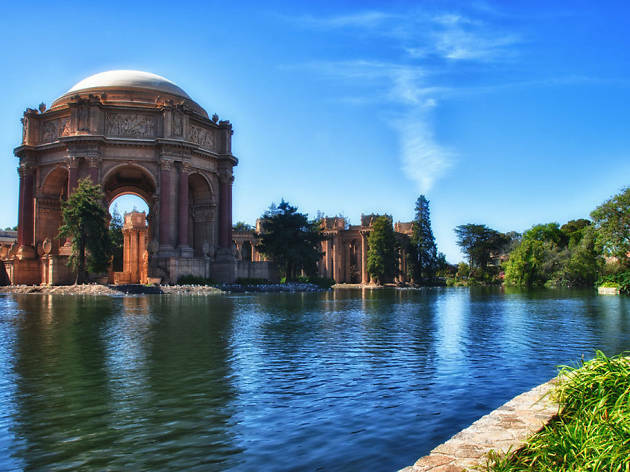 Initially designed only as a temporary structure, it's been repeatedly saved by generations of San Franciscans, and has served as everything from a tennis centre to a motor pool for dignitaries assisting in the creation of the United Nations after World War II. As it fell into neglect and disrepair, it even served as a telephone-book distribution centre and the Fire Department headquarters. The original building was demolished in 1964—only the shell of the rotunda remained—then reconstructed at ten times the original cost. With it's manicured lawns, swan-laden reflecting lagoon, and colorful flower beds, this eminently Instagrammable Marina park is one of the most photographed spots in the city. And it's just as scenic at night, when the dome is aglow and the light reflects off the water. A gorgeous garden that makes you feel very small. It's vast courtyard and giant columns are beautifully arranged around the little pond. It's a great place to start if you want to explore the marina and very beautiful place to take pictures. There's nothing like it any where else around! This place is incredible. The beautiful architecture, the pond, the ducks all around. It's a beautiful place to take a walk or have a picnic. 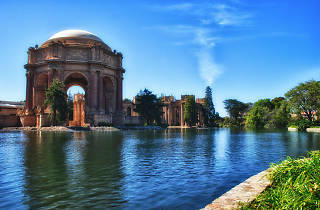 It's truly a hidden gem of SF!